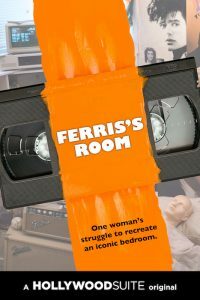 TORONTO – The much-buzzed about documentary Ferris’s Room and its accompanying VR experience, Ferris’s Room VR will make their film festival debut in FIVARS and Cinéfest Sudbury this September. The VR element will also make its US debut at Slamdance DIG later this month. The feature documentary from director Ryan Mains follows artist Sarah Keenlyside as she travels to Chicago to recreate Ferris Bueller’s iconic bedroom as part of the celebrations for the 30th anniversary of the John Hughes’s classic comedy. Along the way, she faces unexpected challenges, meets superfans that keep the spirit of Ferris Bueller’s Day Off alive, and reveals how art brings us all together. Produced by Hollywood Suite, the documentary premiered earlier this year. FIVARS (Sept 14-16), an International Festival of Virtual Reality and Augmented Reality Stories, and Slamdance DIG (Sept 13-15), a showcase of digital, interactive, and gaming art will offer festival participants a chance to take a 360° virtual reality tour of Ferris’s Room, where they can toss around Ferris’s baseball, play his synthesizer, and hear Keenlyside share details on how she found or recreated Ferris’s prized possessions. Cinéfest Sudbury (Sept 15-23) will show both the documentary and the VR experience, which will be the festival’s first-ever virtual reality element. Ferris’s Room is part of an ongoing CMF-funded project by Hollywood Suite to create immersive, multi-platform content that explores the way film impacts individuals, as well as our culture as a whole. 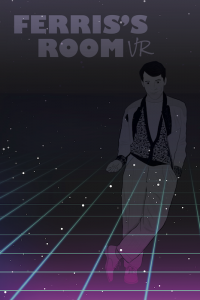 A number of elements of this project support Ferris’s Room, including immersive virtual reality and 360° video experiences of Keenleyside’s recreation of Ferris Bueller’s room, short-form original content, and improvements to the Hollywood Suite GO app and HSGO.ca.